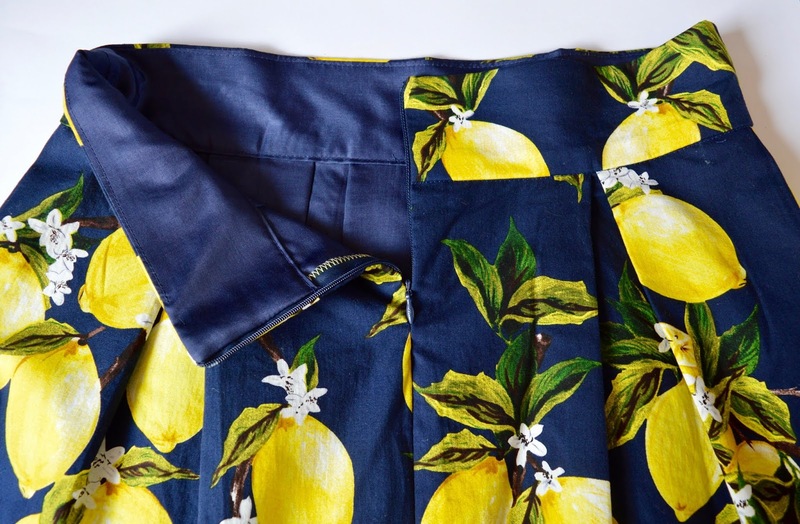 I've had this gorgeous Dolce and Gabbana-style cotton (from Pigeon Wishes but no longer in stock) squirrelled away for over a year and have really taken my time deciding what to use it for. I already have a lemon print dress, which I wear quite a lot and is wildly popular with members of the public (I'm complimented on it virtually every time I wear it, which is lovely!) Because of this I figured separates would get a bit more wear than another dress, so decided to make a statement skirt. The pattern is the skirt section of the Mortmain dress by Gather, which is the same pattern I used for my first lemon dress. 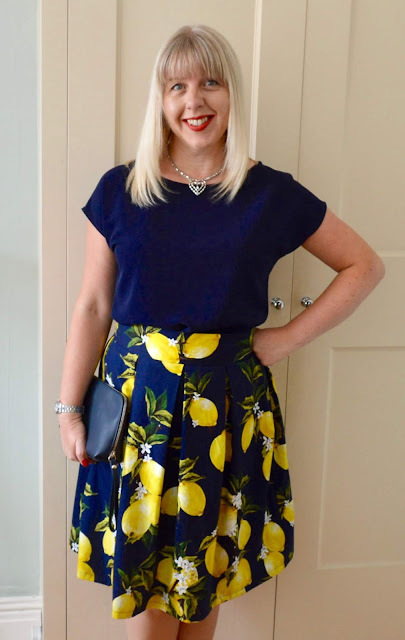 I think a large, bold print like this works particularly well with box pleats. Handily for me, Gather Kits have a blog post on how to make a Mortmain skirt from the dress pattern pieces, which is totally fool proof. The only thing I did differently was to swap the exposed zip for an invisible one. 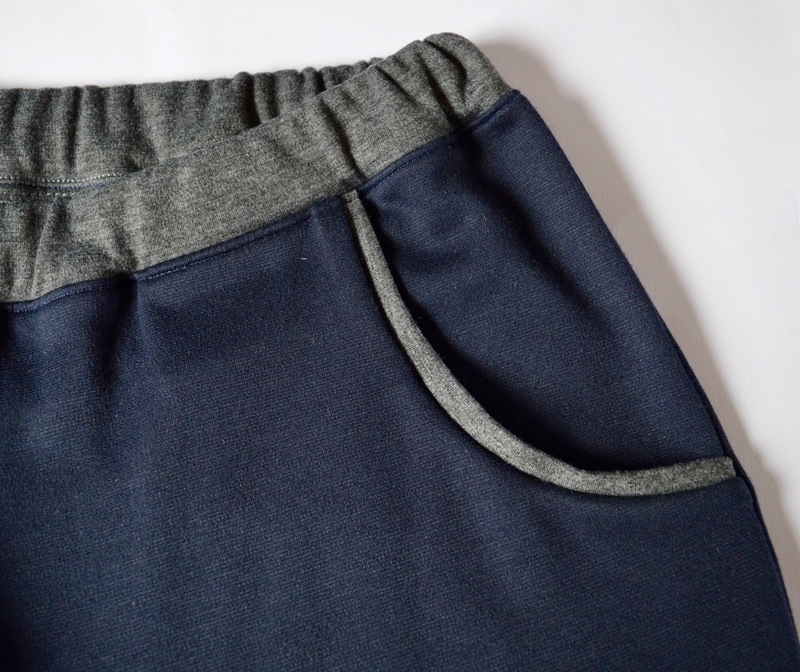 As you can probably see from the photos, I deliberately made the waistband more of a relaxed fit. I decided I'd rather forego the very neat, nipped in look of a perfectly fitted waistband for the comfort factor and ability to eat my dinner without feeling like I'm about to explode. The skirt is fully lined with Venezia lining fabric which was a perfect colour match to the navy background. It was given to me as a gift from Jo Sews ages ago and is the loveliest lining fabric I've ever sewn with. I'm truly lamenting the fact that it doesn't seem to be available in the UK* (Jo lives in Brussels). Lining the skirt gives it a really nice weight and a bit of structure which I think is good with a pleated skirt. *EDIT: Hoorah, I've now discovered that Venezia lining IS available in the UK from here (Stone Fabrics) in tons of colours. Thank you so much to the readers who pointed this out. 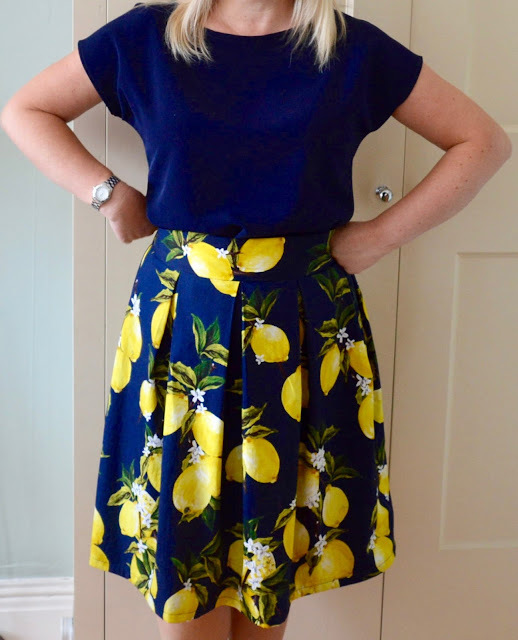 As the print on this skirt is full on lemony, I made a new plain top specifically to wear with it. New Look 6217 is the pattern that keeps on giving and yet again it didn't fail me. I think this is now my sixth version of this top - I've given up blogging about them as I don't want to bore you all to death! 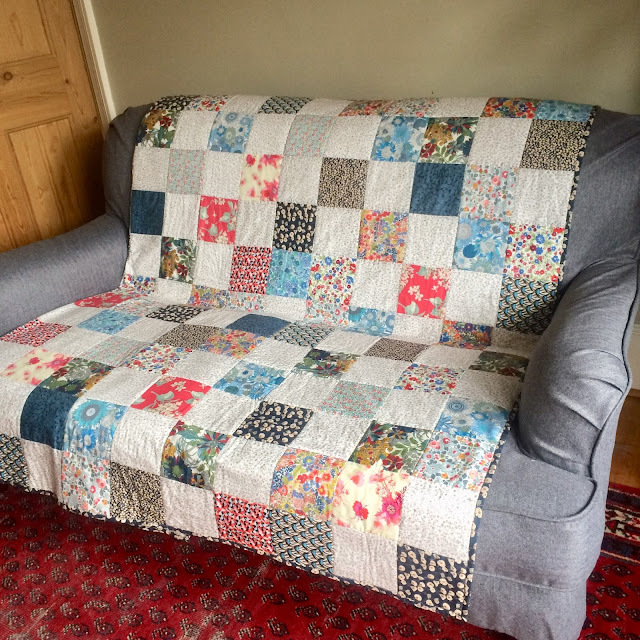 You only need half a metre of 150cm wide fabric to make it and I used luxury crepe from Sew Over It which has a lovely drape. 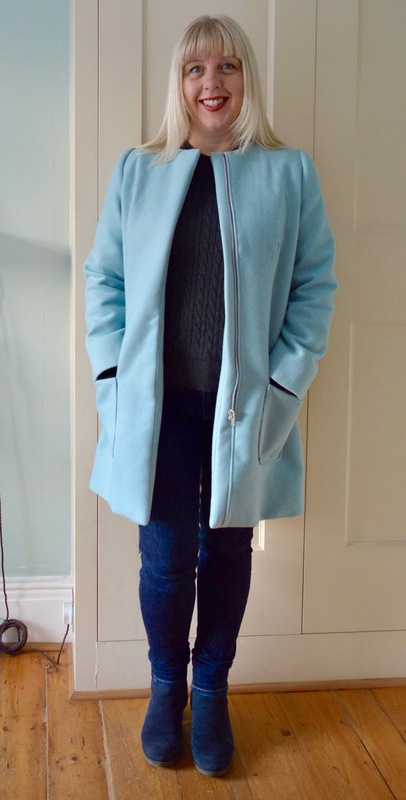 I really like the whole outfit, which works just as easily for daytime as it does for evening. I was actually wearing flip flops and heels to demonstrate this in the photos below, but my son didn't think to include my feet when he was taking them! There are several reasons why I haven't been feeling it on the sewing front recently, but the main one is that I'd more or less reached saturation point with my handmade wardrobe. To put it simply, I had more than enough clothes and didn't need to sew more. 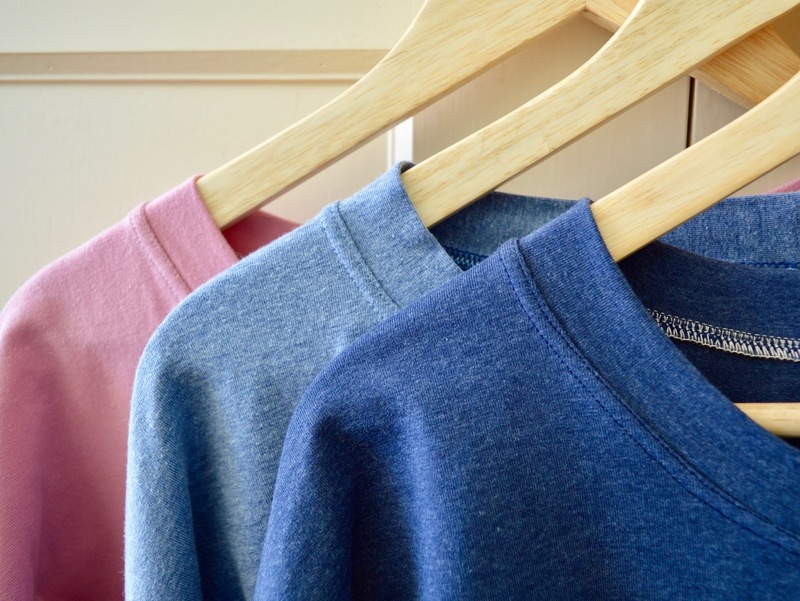 Unworn garments were piling up and it felt wasteful and wrong. So I stopped sewing. 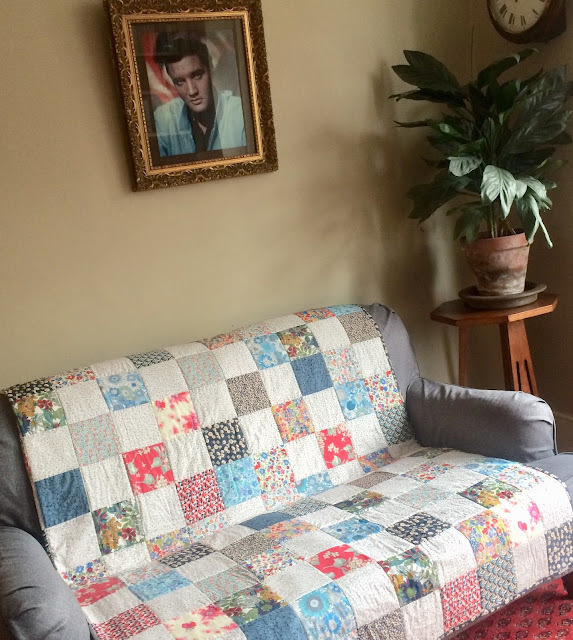 And if I'm perfectly honest, I've enjoyed the break and the lack of pressure to sew things. When spring finally arrived in the UK I had a long, hard look at my wardrobe and was pretty ruthless with the clothes that no longer fit me, both in terms of style and size. 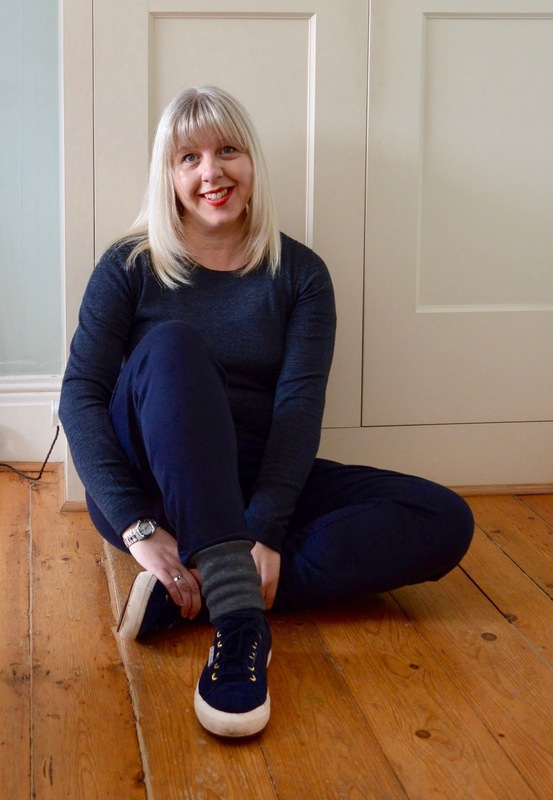 A combination of middle age, menopause and eating too many pies (and what a lovely combination that is!) meant that quite a lot of the super fitted styles I used to love so much had to be slung out. That's when I noticed a gap for a few stylish T shirts and tops, preferably made from knit fabrics for the comfort factor. 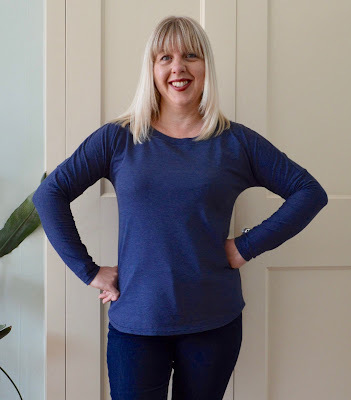 The light blue Molly top was actually sewn a few weeks before the other two, using Girl Charlee denim coloured cotton spandex from my stash. I made a straight size 10 as per my previous version. 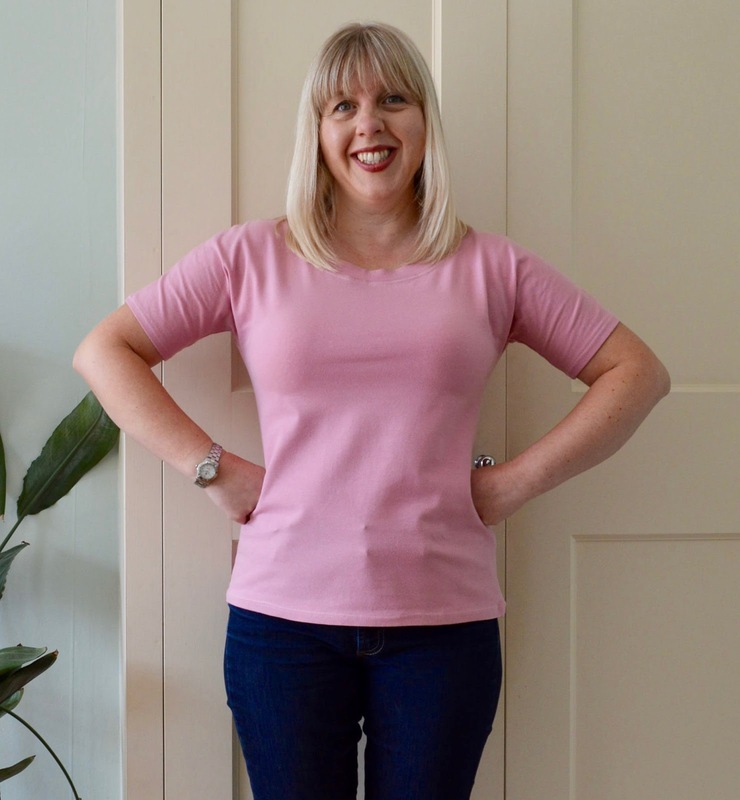 Molly is a really simple but stylish pattern and in a few short weeks this top has been worn a LOT. The fabric was lovely to sew with too, so I decided to sew a couple more. I bought a darker denim version of the same fabric and, very unusually for me, a dark rose pink, both from Girl Charlee. 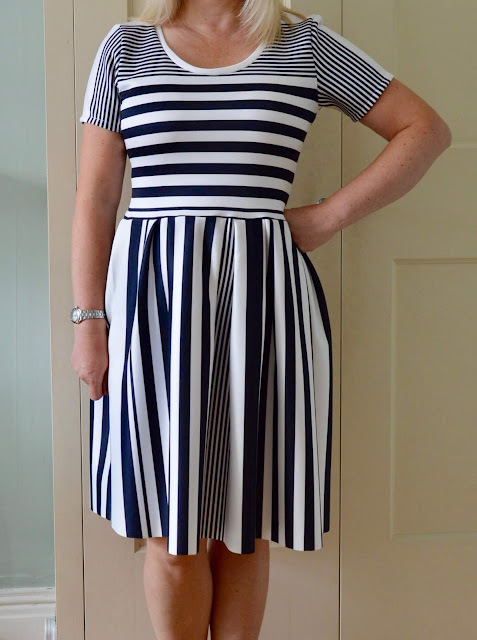 It took just a morning to make the two tops on my overlocker (hems and neckbands were top stitched with a double needle) and they turned out exactly as I'd hoped. The dark denim one is basically a carbon copy of the light denim one and will be worn until it falls apart. 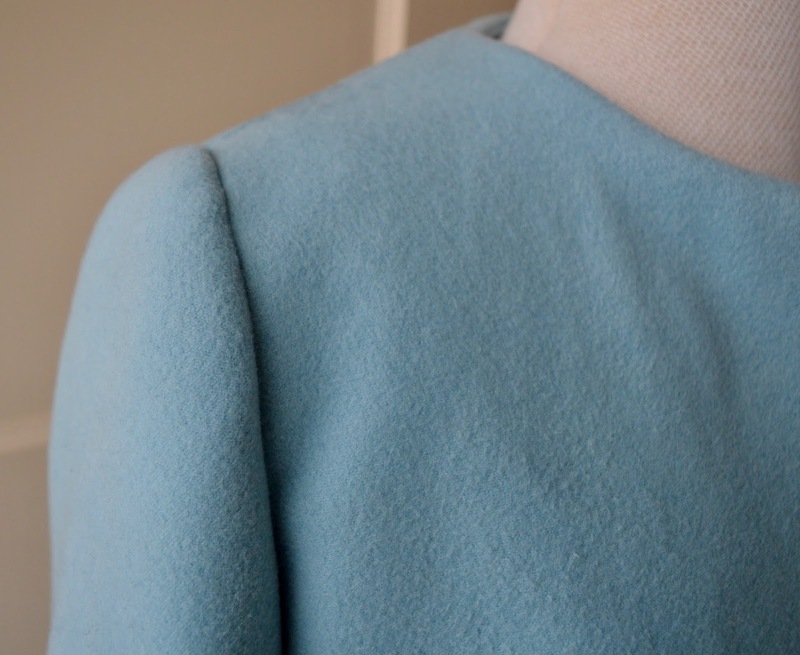 The fabric is light enough to wear on spring days or can be layered up when it's really cold. I left off the sleeve cuffs for the pink version as I thought the colour was more suited to summer. 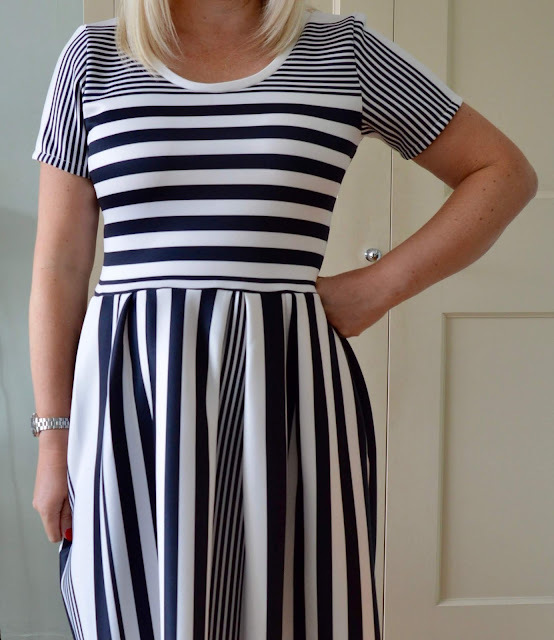 I also levelled off the hem to give it a neater shape. 1. Choose a pattern you've used before and you know fits well. 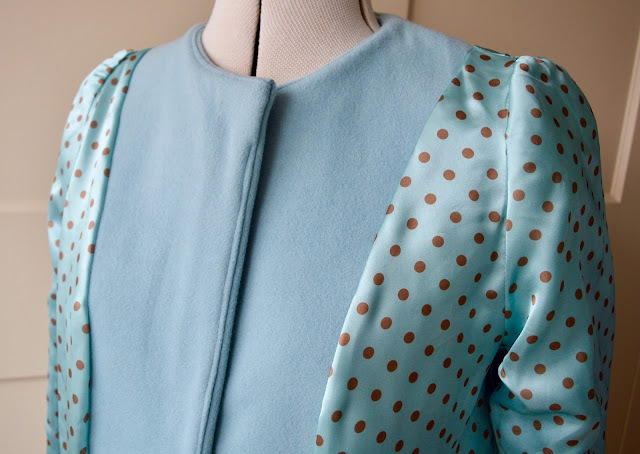 You can then just cut out and sew, knowing that the finished garment will fit. 2. Don't over complicate things with a difficult design. The Molly top has just three pattern pieces (four if you add the sleeve cuffs) and is ridiculously quick to sew. 3. Avoid patterned fabric for the same reason. Who can be arsed to pattern match when you're after a quick fix?! 4. 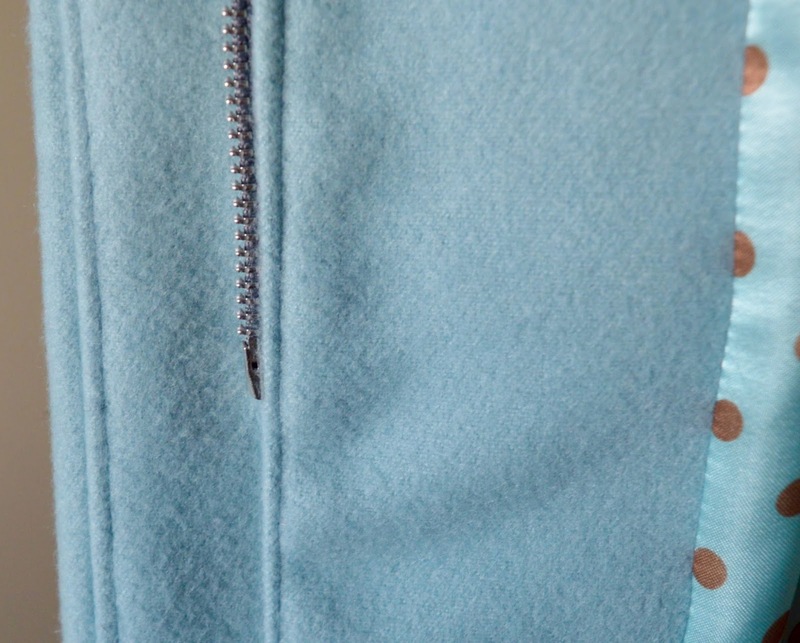 Knit fabrics are your friend, they're quick to sew up and easy to fit. 5. 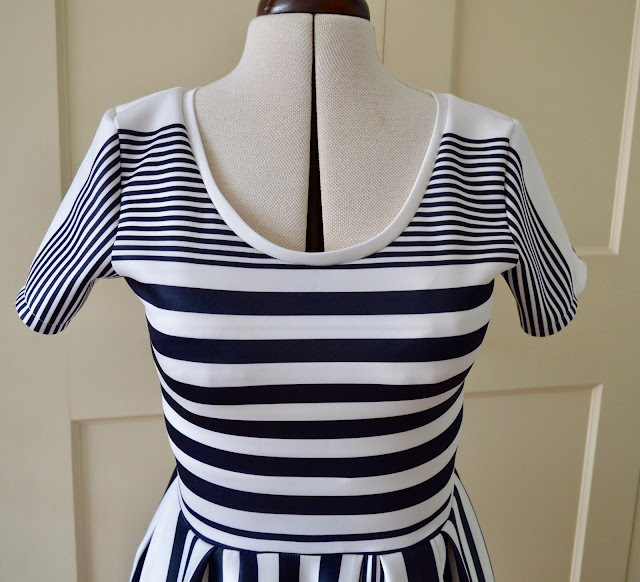 Cut out more than one garment at the cutting stage. If you only have a few seams to sew, an extra garment doesn't takes much longer to sew up, especially if you use my canny overlocker thread tip. 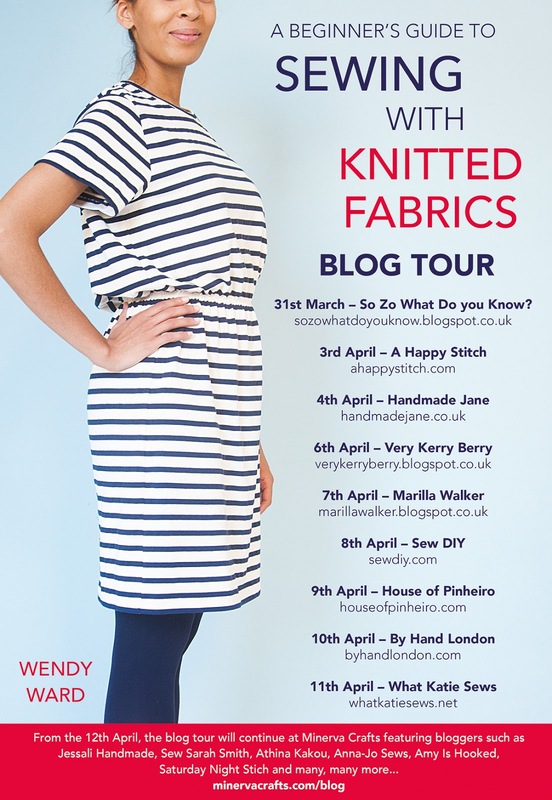 Today it's my stop on the Beginner's Guide to Sewing with Knitted Fabrics blog tour. This is Wendy Ward's latest book and the perfect starting point if you're wanting to branch out and start sewing with knits. 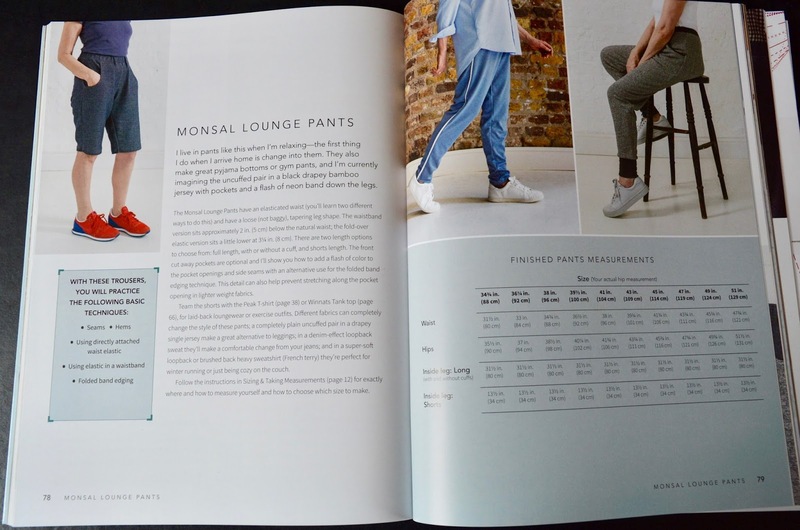 The book includes full sized paper patterns for six core garments (T-shirt, Wide Leg Trousers, Tank, Lounge Pants, Cardigan and Skirt) with a variety of hacks to give a choice of twenty different variations. 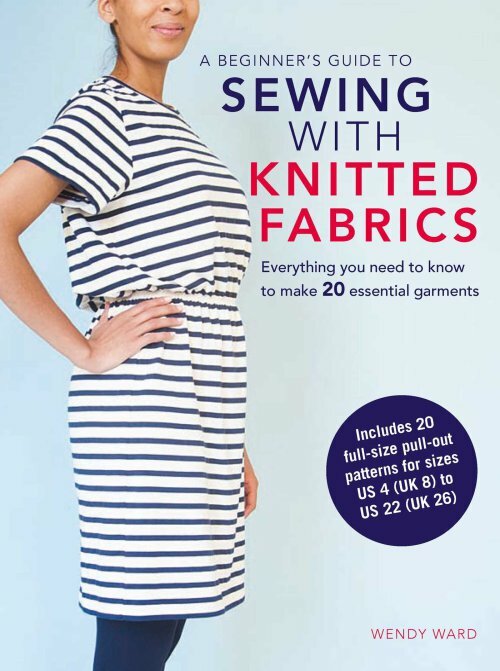 The book is laid out in a similar way to Wendy's first book A Beginner's Guide to Making Skirts (reviewed here). 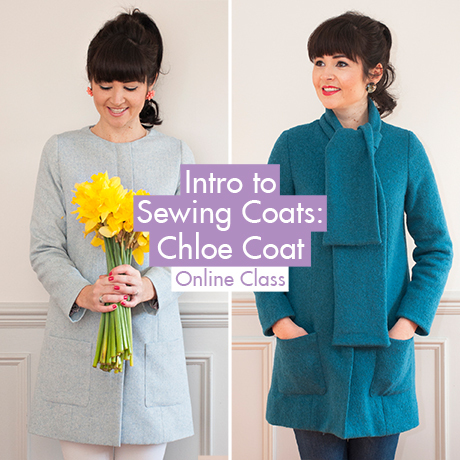 For each project there are step-by-step instructions with clear diagrams, with methods for tackling specific techniques (adding a neckband, hemming, using elastic etc) included in a comprehensive 'techniques' section. These techniques are noted at the start of each project and I'd recommend reading up on them before you start. In fact I'd strongly recommend reading the "How to Use This Book' section on page 9 before you do anything, as it lays out everything you need to know to get the most out of the book. The patterns are printed on both sides of each sheet and overlap, so you will need to trace them. Also, some larger pieces (such as trouser legs) may be printed in two halves, so make sure you know where the two halves are! A helpful guide showing which projects and pattern pieces are printed on each sheet can be found on page 23. One thing I found slightly annoying is that there are no sizes i.e. size numbers printed on the patterns, just the different pattern markings for each size. If you're confused about which markings relate to your size (as I was) there's a key on the inside back page of the book. 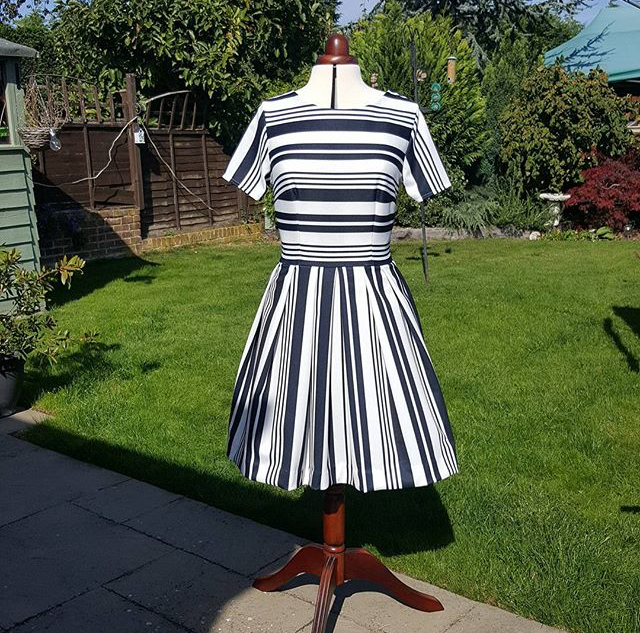 Sizes range from US size 4 (UK 8) to US 22 (UK 26) and the garments are sized depending on which area of the body the garment will fit most closely. 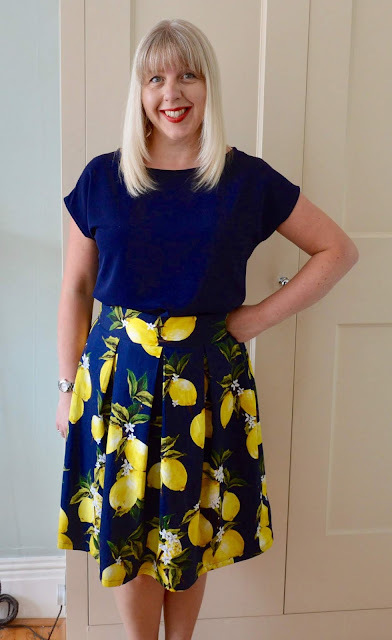 The two trouser patterns are sized on hip measurements, the cardigan, T-shirt and tank are sized on bust measurements and the skirt is based on waist measurement. Just make sure you're working from the correct area of the body before you start. 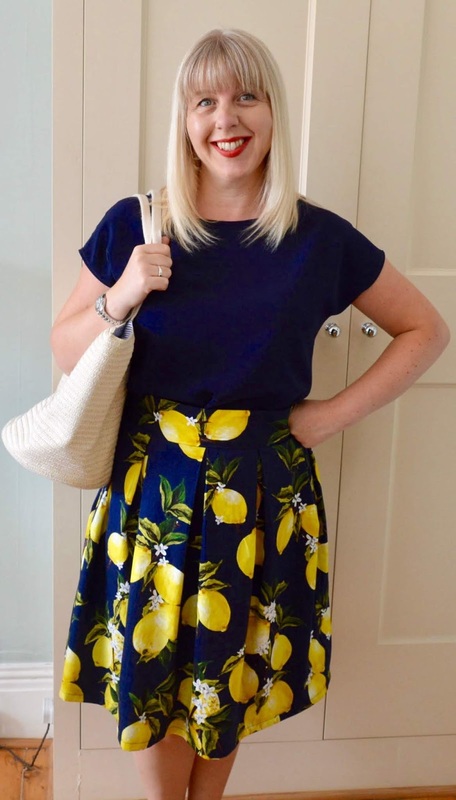 I have to be honest and say that a couple of the patterns were not really my style, most notably the Longshaw Skirt. The T-shirt and tank were similar to designs I've made lots of times before and the wide legged trousers didn't appeal. 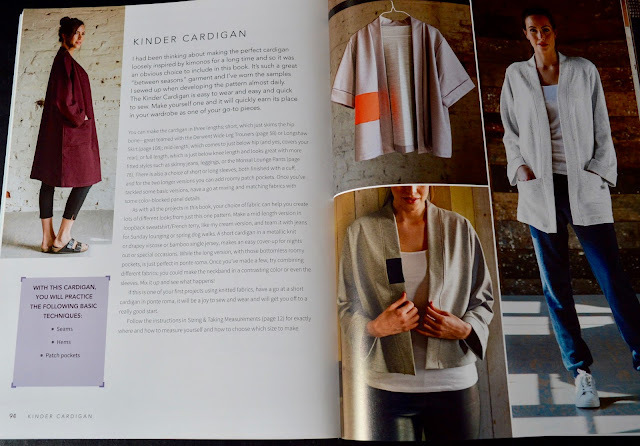 It was therefore a toss up between the chic and versatile Kinder Cardigan or the Monsal Lounge Pants. Now Lounge Pants have never really been on my sewing radar, but the weather was cold and miserable at the time of making, and all I wanted to do was lie on the sofa, so lounge pants it was. There are three pattern options: full length, with or without cuff, and shorts length. I went for the cuffed version, adding the optional cut away pockets with a contrast pocket band. One very helpful thing that Wendy does in the book is list the fabrics that each of her samples are made from. 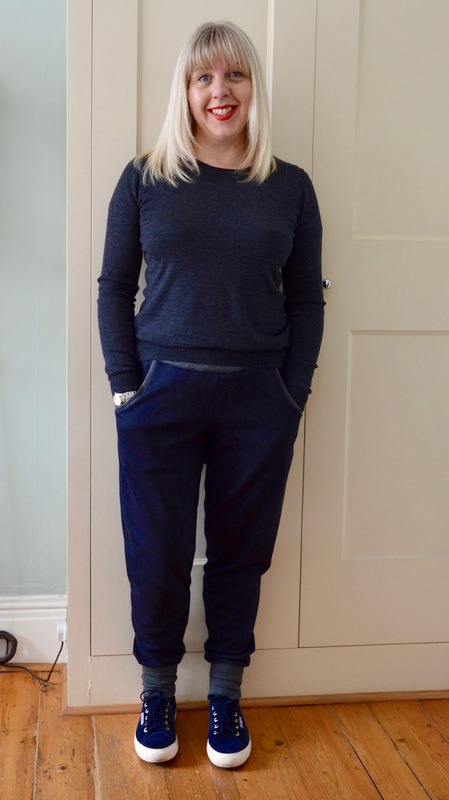 Based on this I chose a navy ponte for the main trousers with a contrasting grey marl in the same fabric for the cuffs, waistband and pocket bands. 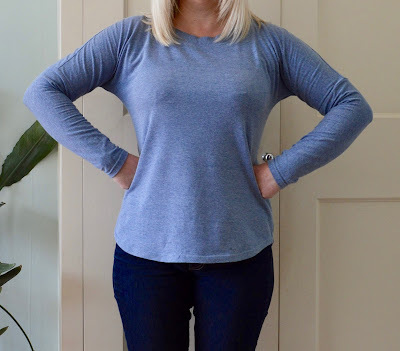 The quality of the ponte was lovely - a nice medium/heavy weight with a good amount of stretch. 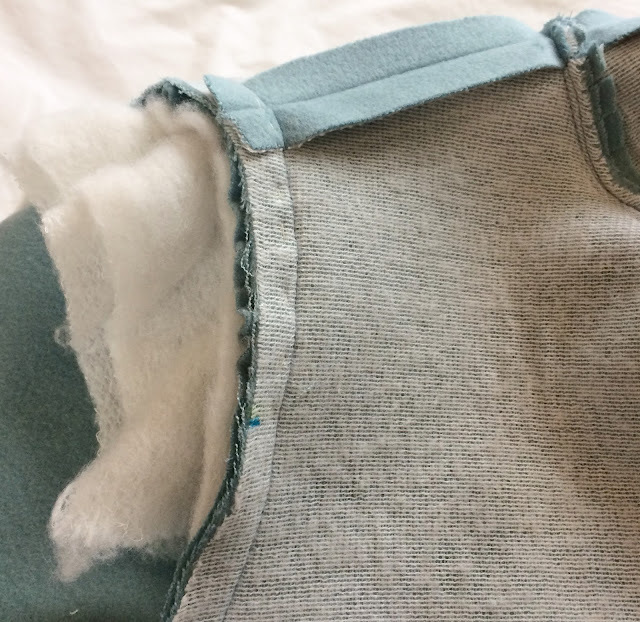 With hindsight, I should perhaps have chosen a lighter weight fabric for the pocket bands as the double layers of ponte ending up very bulky to sew through. The instructions were a breeze and actually employed a different method than I've previously used for trouser making. Usually I would make up both legs separately, then put one leg inside the other and sew the front and back crotch seams in one go. 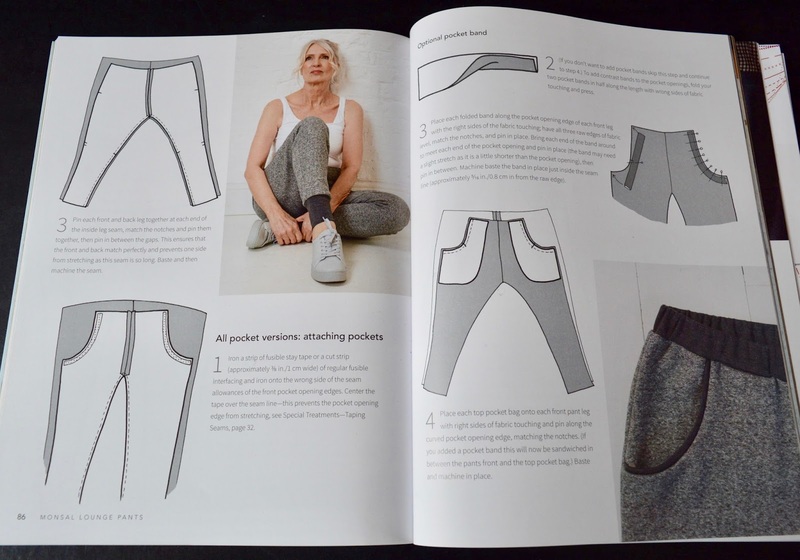 The method in this book is to sew the crotch seams first - which give you an entire front section and an entire back section - then sew the inside leg seams. Once the pockets are added you simply sew up the side seams and you have a pair of trousers! This seemed like a much simpler method to me and one I'll definitely use again. The fit is supposed to be loose (not baggy) with a tapering leg shape. I like the tapering leg shape but I could probably have done with shortening them a bit as they noticeable crumple below the knee. The calf section is also a bit tight, but that may be down to my newly discovered runners calves (ahem). As predicted, they're supremely comfortable and perfect for lounging stylishly around the house. 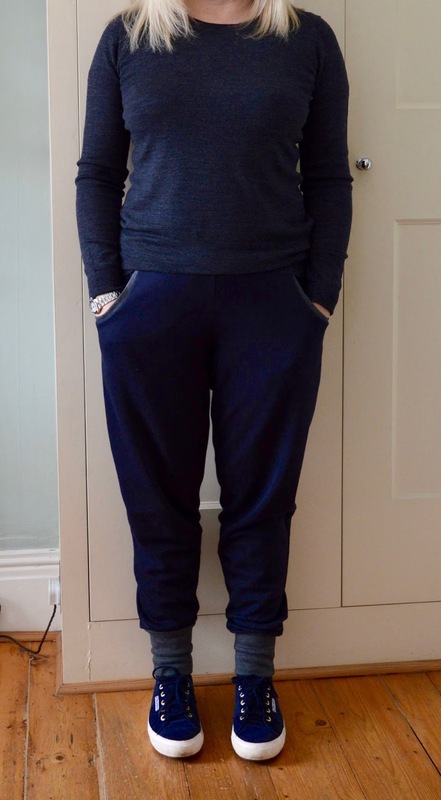 When the 'Beast from the East' hit the UK recently they were an absolute godsend - cosy, comfortable and a definite step up from pyjamas! There's a lot of work that's gone into the writing and production of this book and this is evident throughout. It's an excellent first guide for beginners and a very good source of patterns and advice for those who are already familiar with sewing with knits. Like the look of it? Well you're in luck, as MAKEetc.com are offering readers of my blog a 25% discount off the purchase price. Simply purchase through their website and enter the code BLOG25 at the checkout. The discount is valid until 21st April 2018. A Beginner's Guide to Sewing with Knitted Fabrics was given to me for review by CICO Books and the fabric for my project was kindly supplied by Minerva Crafts. All views my own. Hello. 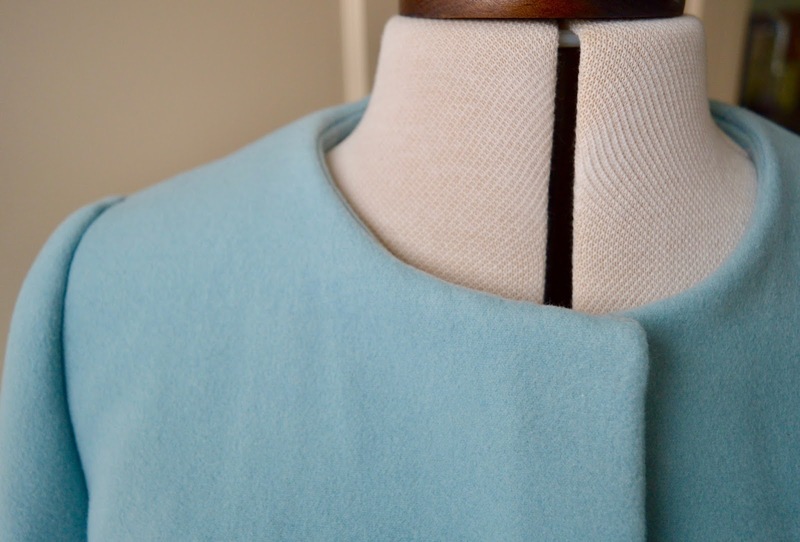 Brace yourselves, there's an actual finished item on the blog today! 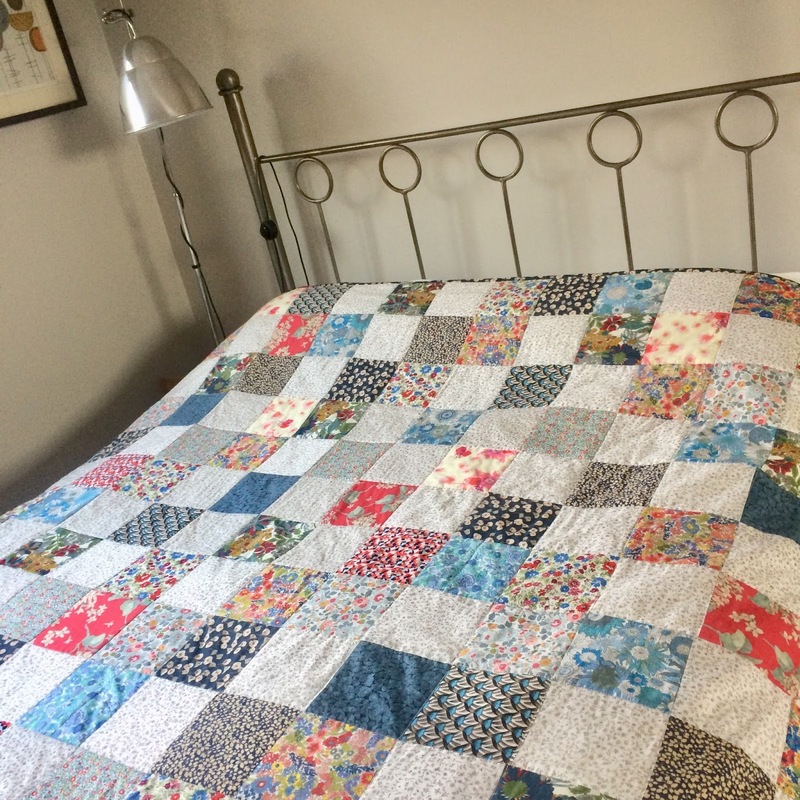 The patchwork top for this quilt was finished back in June, but as it's quite a whopper (224 squares), it's taken me this long to summon up the energy to quilt it. 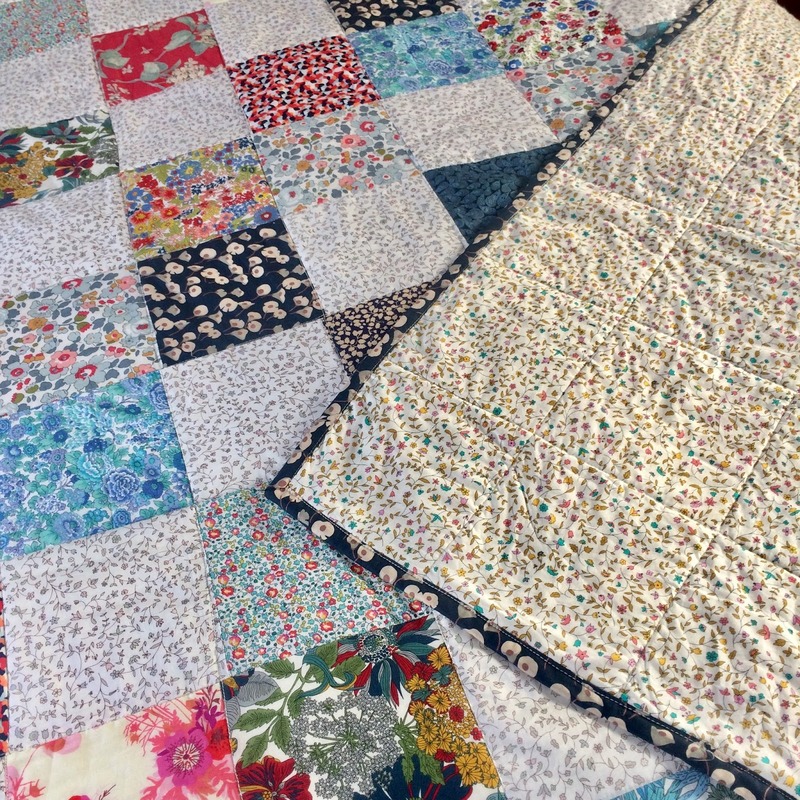 The majority of squares are Liberty remnants left over from previous makes, plus a few fat quarters picked up along the way from Sewbox. 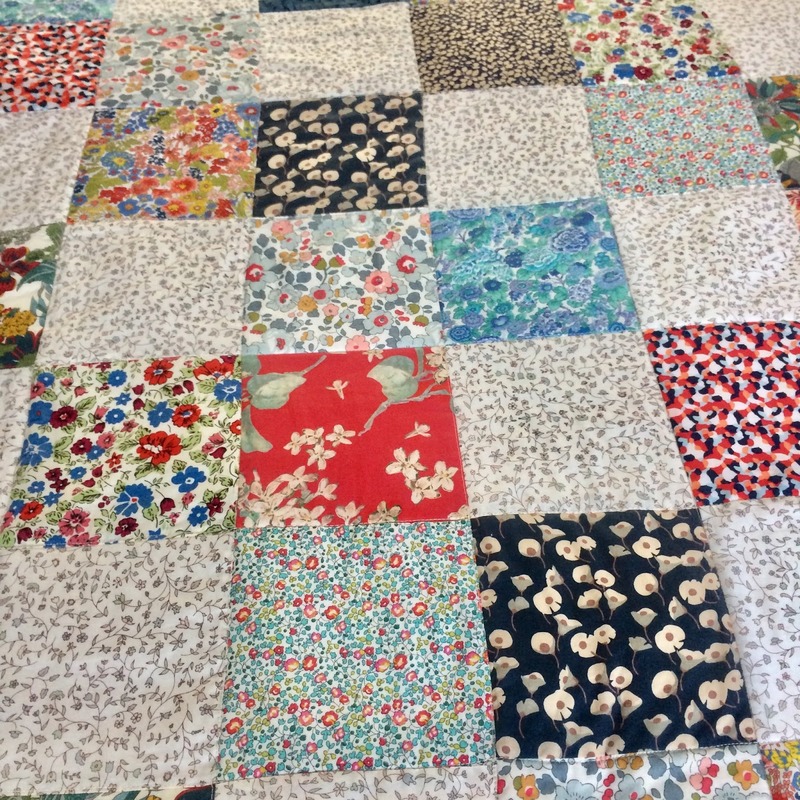 The light coloured 'neutral' squares are cut from another Liberty print (Cathy), which is also used as the backing fabric. 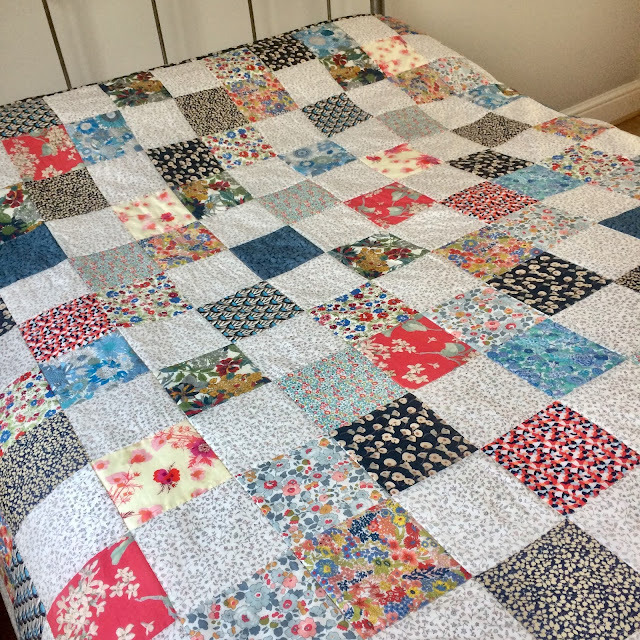 Because it's made almost entirely from Liberty lawn (I think there's one non-Liberty imposter in there) the feel of this quilt is different to others I've made. 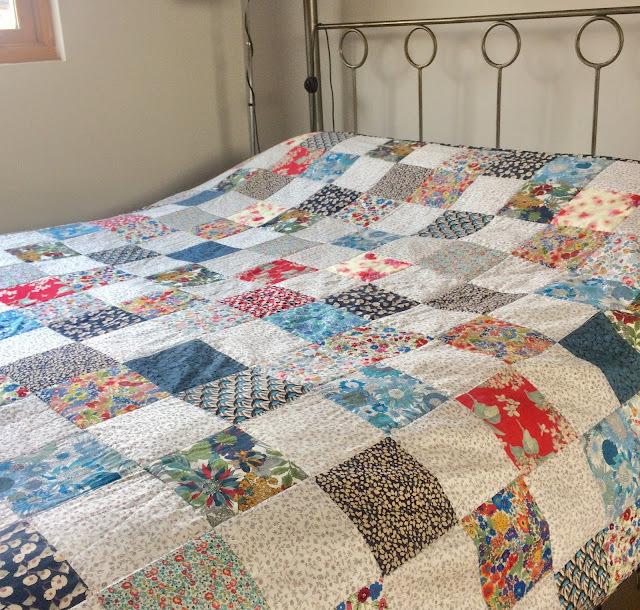 Liberty lawn has a slight sheen and silkiness that you don't get with regular quilting cotton, giving it a really luxurious feel. The intended home for this quilt is on the guest bed in the loft. Everything is very plain and neutral up there and it adds a nice pop of colour. However... I was testing it out on the sofa last night and it actually looks great in the front room, so I'm a bit torn. It has magical properties too, I was asleep within about ten minutes of wrapping it round me... Maybe I'll alternate between the two? 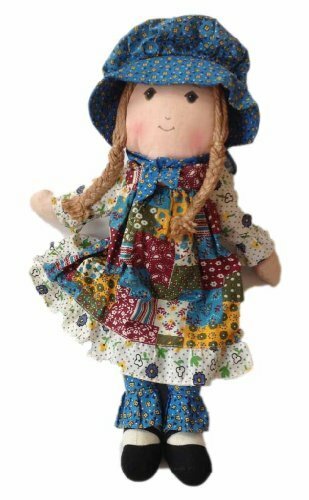 As for the name, I've called this my Holly Hobbie quilt as it reminds me of a doll I had in the seventies.